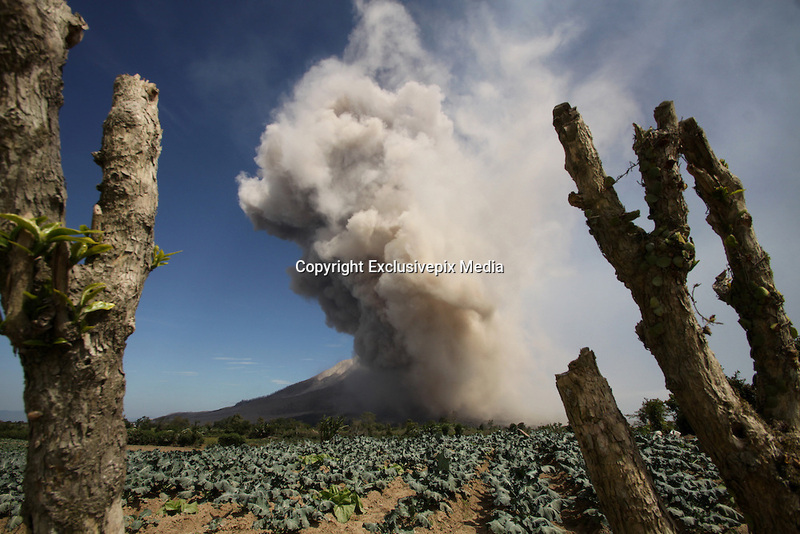 A view of Sinabung mount eruption at Tiga Kicat village on June 27, 2015 in Karo regency, North Sumatra Province, Indonesia. Over 10,000 residents have been forced to evacuate preemptively over concerns of eruption from Mount Sinabung. The once dormant volcano has recently been observed displaying heightened activity.